Gold, Silver and Crude Oil On Fire! Breaking Out to New Highs! The charts below quickly give you a visual as to where each commodity is trading in relation to intermediate and short term support and resistance levels, chart patterns and trend lines. Commodities are on the run. 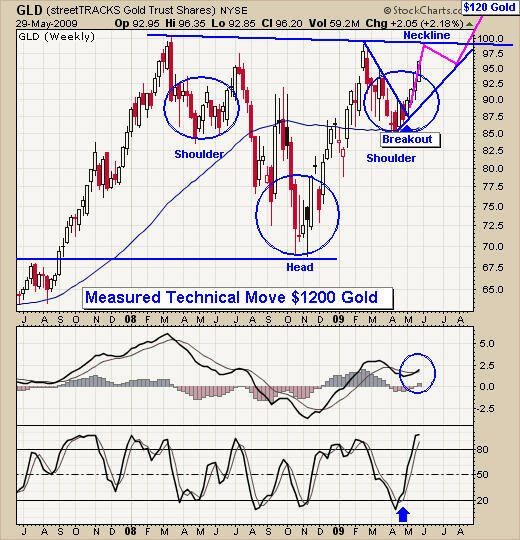 Gold is forming an amazing reverse head & shoulders pattern and is about to test resistance. 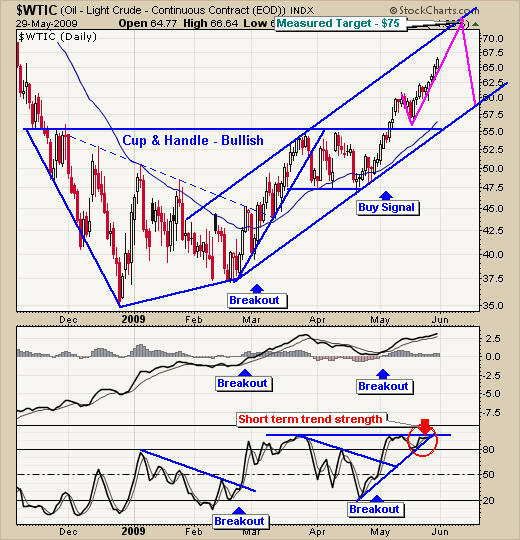 Silver is shining bright as it continues to surge higher out of a solid bull flag pattern. And crude oil continues to make new multi month highs after breaking out of its cup & handle pattern. Gold looks to be nearing the end of this very large reverse head and shoulders pattern which is bullish. I have a feeling we could see gold trade in the upper levels of this chart until August which is generally a very strong time for gold bullion prices. 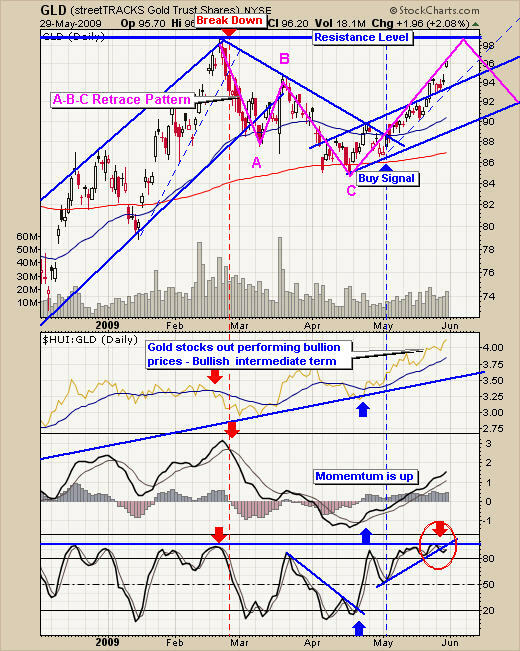 At that time we may see gold surge past $1000 and rally towards the $1200-$1300 mark. 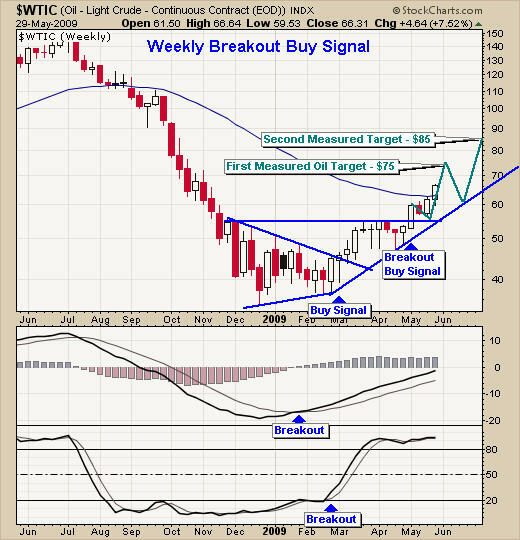 The daily chart provides a much closer look at price action. As you can see gold is starting to reach the upper resistance level. I figure we will see selling at that level. I have drawn a dotted blue trend line allowing those with long positions to lock in some profits if we get a technical break down. Personally I like to lock in some gains after a large run. I can always buy it back later and hopefully at a better price with one of my low risk setups. Silver is on the run with lots of room for growth before reaching major resistance at the $19-$20 level. 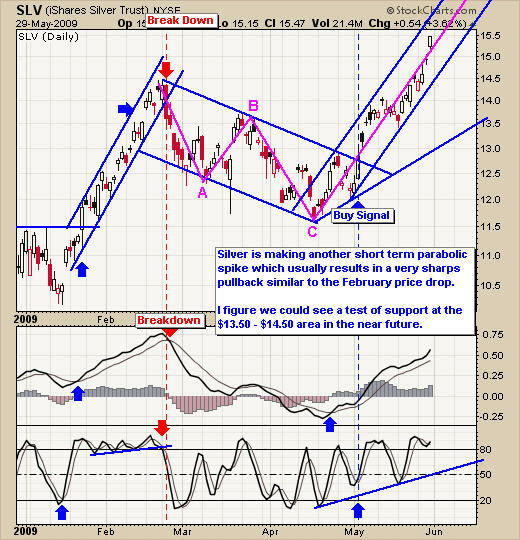 Chasing the price of silver here is a very risky position. Silver can correct extremely fast. Waiting for a pullback is crucial. 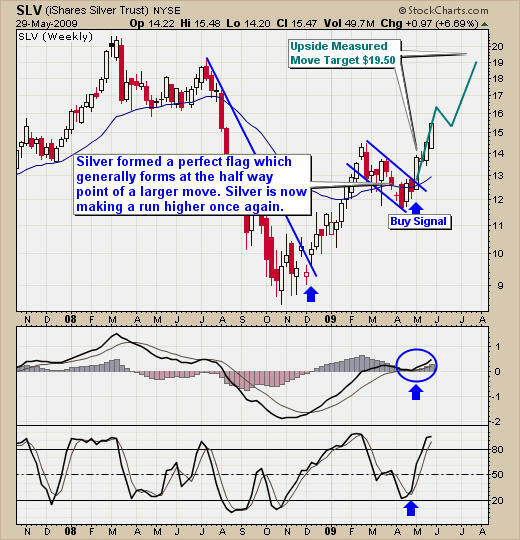 As you can see on the silver daily chart, silver is a very fast moving investment vehicle. I expect we will see a pull back to the $13.50 -$14.50 level on a dip. Oil continues to push higher and looks to be building up speed. I figure we will see $70-$75 per barrel with any luck in the near future. The daily chart is showing we are getting very close to a possible pullback. From looking at the daily chart I see a measured move to the $67.50 level and at that point we may get some type of profit taking/pullback before moving higher. All three commodities are on fire and will most likely be in favor for some time. We will see pauses/corrections in price along the way. I would like to mention how important it is to trade with the trend (The Trend Is Your Friend). This is because strong trends will continue to trend until demand wanes. During a powerful move trends can last for months before a sizable correction may take place. All of the technical buy signals for these commodities have performed very and the trends look strong at this point in time.